Cobham SATCOM is an official launch partner for Inmarsat Global Xpress® (GX). Several forthcoming EXPLORER products are being developed specifically for operation on the Global Xpress network. Regardless of the application, our suite of GX EXPLORER terminals will provide the reliability and functionality required to effectively connect users to the GX network. 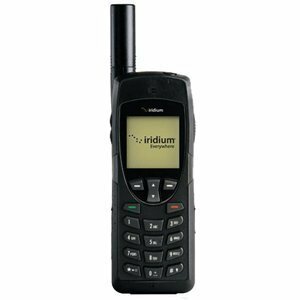 EXPLORER 3075GX is a rugged and portable manuel point Fly-Away system configured specifically for operation on the Inmarsat Global Xpress® (GX) network. The terminal is configured for commercial band operations and includes a fully integrated iDirect Core Module. 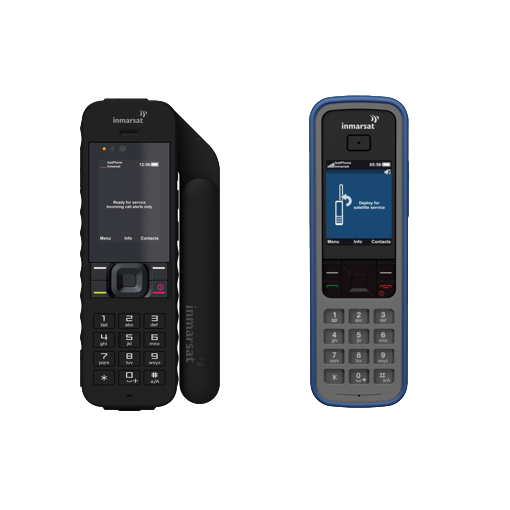 The user friendly design allows operators with little satellite experience to access GX services within minutes. EXPLORER 3075GX provides crucial connectivity for a diverse user base including Defense, Homeland Security, Law Enforcement, Emergency Response, Media, Telemedicine, Insurance, Remote office, Energy and Mining. Regardless of the application, EXPLORER 3075GX offers continuity of operations with remote videoconferencing and Internet cloud services including voice, radio, data, fax and live streaming/broadcast. 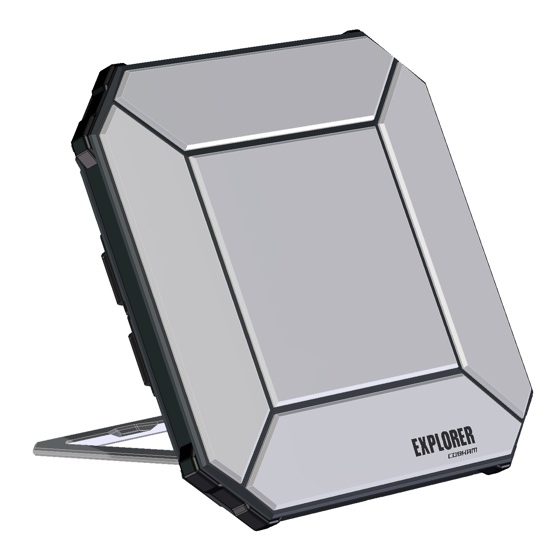 The EXPLORER 3075GX has an embedded WLAN Access Point and four LAN interfaces. 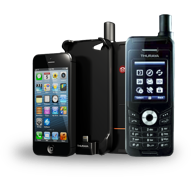 The LCD display and the electronic pointing assistance enables the user to access the satellite network within minutes. The EXPLORER 3075GX weighs around 29 kg and comes in two rugged hard cases for Fly Away. Each case is airline checkable and easy to carry along. 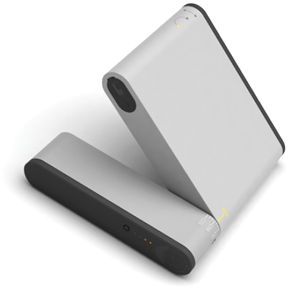 The antenna is built from a firm carbon fiber composite, which gives high performance, yet is highly portable. 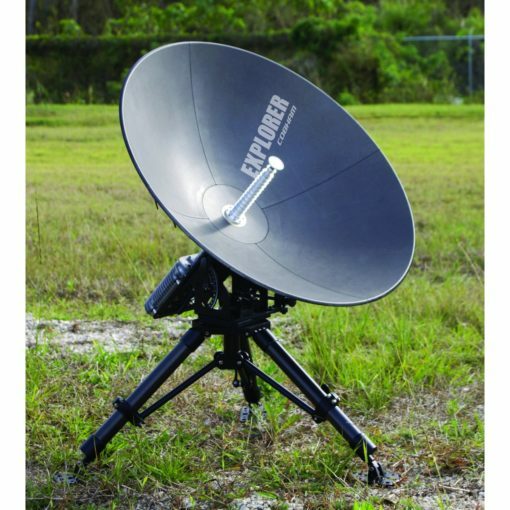 EXPLORER 3075GX’s 4-piece reflector and base unit materials are a precise blend of lightweight design with strength and durability.